A fossil find in a northern Brisbane suburb made the news with this heading, ‘Construction work in Brisbane suburb Geebung unearths fossils of 50-million year-old crocodiles, fish and plants’. Part of the story, according to the Courier-Mail, was that ‘bones of ancient crocodiles’ were found during construction work on a new level crossing overpass at Geebung. The Lord Mayor of Brisbane, Graham Quirk, said that ‘the fossils were found amongst spoil which a piling rig had brought up to the surface’. In addition to crocodiles, this ancient material included fish, freshwater shells and plant impressions. The article said the fossils were dated as 50 million years’ old. The article stated that ‘Queensland Museum Network CEO Professor Suzanne Miller said the find was a significant one for Brisbane and the state’. Near our region of northern Brisbane there was a rare find in June 2013 and given news coverage in July, thanks to excavations near Geebung railway station last month. 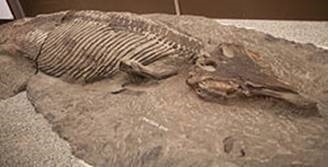 We have been told of the finding of crocodile, frog, ­fish and plant fossils. Some horrific event must have killed all these things to be buried under northern Brisbane and about 15 metres underground. There is evidence that has been around for a long time of a worldwide flood. The most prominent report is that at the time of Noah (recorded in Genesis 6-9) that should have affected the Brisbane region. But I read not a word about that in the reports I read or hear of this fossil find. Perhaps that’s too Christian or Jewish (in the Hebrew Bible) to be politically correct to mention. However, there is evidence from the Babylonians, Egyptians and Greeks of a flood in ancient times, but not as specific, as say, giving Noah’s age as ‘in the six hundredth year of Noah’s life, in the second month, on the seventeenth day of the month’ (Genesis 7:11) that the flood came. However, we do know from history that one Sumerian king provided a list from about 2100 BC that divided kings into two categories – those who were before the flood and those after it. Jesus Christ confirmed the existence of Noah and the flood (see Matthew 24:36-39). When will this type of information make it to our news stories about a new fossil discovery in Brisbane? ‘Fossil find and phenomenal flood’ could be an appropriate headline, but that would not be too popular with a secular media. It was predictable that an evolutionary anti-Noahic flood view would come. And it did. I (sic) amazed that in this day and age anyone can truly believe that story of Noah’s ark actually happened. But I ­find it appalling that someone who does would take such a marvellous discovery like the 50 million year old fossils at Geebung and then twist the facts to suit their own particularly limited world view when the evidence clearly contradicts it. To suggest that a wooden boat that would have been roughly half the size of an average cruise ship could fi­t 60,000 animals on it is absurd. It would be standing room only and that doesn’t factor in room for food. Which bring me to the fact that some species have quite restrictive dietary needs, koalas for example will only eat from a limited number of eucalypts and then they must be fresh. Others can only live in certain habitats that we even fi­nd difficult to replicate in our modern day zoos and would have been impossible for someone living in the Bronze Age to construct. These are only two of the many logical fallacies that make the story of Noah’s ark just that – a story. A skeptic of Noah’s flood, M (Messenger 10 Aug 2013) puts me into the class of being ‘amazed’ that ‘anyone can truly believe that story’. I am in excellent company with the Lord Jesus Christ who believed in a literal flood and used it as an antitype of what will happen at Christ’s second coming (see Matthew 24:38-39). I agree with Jesus rather than M.
I’m accused of twisting the facts re the Geebung fossils of my ‘limited world view’, but M seems to forget that his/her short-sighted world view rejects this evidence when ‘all flesh died’ except Noah’s family. M also operates from a world view. As for Noah’s boat not being large enough to fit 60,000 animals, that’s M’s contemporary number inserted into the biblical data, which makes no mention of 60,000. Build a large boat from cypress wood and waterproof it with tar, inside and out. Then construct decks and stalls throughout its interior. 15 Make the boat 450 feet long, 75 feet wide, and 45 feet high. 16 Leave an 18-inch opening below the roof all the way around the boat. Put the door on the side, and build three decks inside the boat—lower, middle, and upper (Gen 6:14-16 NLT). It seems obvious that M as a skeptic does not want this to be a historically feasible ark/boat to fit two of every kind of animal and bird along with food. A detailed technical study of this issue, along with other issues, is in John Woodmorappe’s book, Noah’s Ark: a Feasibility Study. It provides detailed data on how 8 people could have cared for approx. 16,000 animals using pre-scientific technology and provides answers for getting rid of the approx. 12 metric tons of excreta (muck) produced daily. It’s not an impossible feat to be done by Noah’s family. The rainbow in the sky is a contemporary covenant sign to confirm Noah’s flood and that God will never destroy humanity with a flood again (see Gen. 9:13-15). The Bible not only confirms the historically accurate deluge at the time of Noah, has Jesus Christ affirming its authenticity, and it predicts that ‘scoffers will come’ in the last days who ‘deliberately forget’ that ‘the world of that time was deluged and destroyed’. ‘By the same word [of God] the present heavens and earth are reserved for fire, being kept for the day of judgment and destruction of the ungodly’ (2 Peter 3:3-7). Unfortunately, The Messenger did not want to continue this discussion and did not print my letter of reply. What follows is more extensive information that I framed in preparation for the letter above, plus some additional details from research. So a skeptic regarding Noah’s flood, M (Messenger 10 Aug 2014) puts me into the class of being ‘amazed’ that ‘anyone can truly believe that story’. What I find even more amazing is that I am in mighty good company. It was the Lord Jesus Christ himself who believed in the literal history of that deluge (Genesis 6-10) when he affirmed in his Olivet Discourse: ‘In those days before the flood, the people were enjoying banquets and parties and weddings right up to the time Noah entered his boat. People didn’t realize what was going to happen until the flood came and swept them all away. That is the way it will be when the Son of Man comes’ (Matthew 24:38-39). I would rather be agreeing with Jesus Christ than M.
As for the charge against me that I did ‘twist the facts’ about the Geebung fossil discovery because of my ‘limited world view’. This is a false allegation. I twisted nothing. I provided an alternate interpretation, based on the catastrophe caused by the worldwide flood in Noah’s time. To show further evidence of the geologic record’s compatibility with a worldwide flood, see Dr Jonathan Sarfati’s article, ‘The Yellowstone petrified forests: Evidence of catastrophe’. Back to M’s letter: M has overlooked that he/she is supporting his/her skeptical world view about Noah’s flood with the statements in this letter. My understanding is that fossils around the world can be associated with the evidence left by the historical evidence of Noah’s flood when ‘all flesh died’ except Noah and his family. This article by Steve Cardno, ‘The (second) greatest catastrophe of all time: The Titanic sinking? The Pompeii devastation? What rates as the greatest ‘disaster’ ever?’ provides a photograph of an ‘incredible fossil of an ichthyosaur, buried and fossilised while giving birth, [and] is clear evidence of its having been buried quickly by water-borne sediments. The fossil record is consistent with creatures having been buried suddenly, otherwise most creatures would either rot or be devoured by scavengers’. So Noah’s boat was not large enough to fit 60,000 animals according to M. There is not a word in the biblical record of 60,000 animals at the time of Noah. That’s M’s contemporary insertion into the biblical data, thus making him/her a perpetrator of eisegesis. However, M raises a good point. How could ‘two of every sort’ of animals and birds fit onto the gopher wood ark, sealed with pitch inside and out, whose dimensions were 300 cubits long, 50 cubits wide, 30 cubits high with lower, second and third decks (Gen 6:14-16)? A cubit is about 45 centimetres. It seems obvious that M as a skeptic does not want this to be a historically feasible ark to fit two of every kind of animal and bird along with food. A detailed technical study of this issue, along with other issues, is in John Woodmorappe’s book, Noah’s Ark: a Feasibility Study. It provides detailed data on how 8 people could have cared for approx. 16,000 animals using pre-scientific technology. Woodmorappe’s assessment was that since most of the animals were small with the median size animal about the size of the rat. Only about 15% of the animals were sheep-sized or larger. It would have been the larger animals which accounted for most of the food intake and production of excreta. Why could not juvenile animals be the ones taken onto the Ark? As for the excreta (muck), Woodmorappe’s assessment was that approx. 12 metric tons of excreta would have been produced daily by the Ark animals and, using agricultural literature, he was able to show how it was easily possible for 8 people to deal with that much muck on a daily basis. The Ark measured 300x50x30 cubits (Genesis 6:15), which is about 140x23x13.5 metres or 459x75x44 feet, so its volume was 43,500 m3 (cubic metres) or 1.54 million cubic feet. To put this in perspective, this is the equivalent volume of 522 standard American railroad stock cars, each of which can hold 240 sheep. If the animals were kept in cages with an average size of 50x50x30 centimetres (20x20x12 inches), that is 75,000 cm3 (cubic centimetres) or 4800 cubic inches, the 16,000 animals would only occupy 1200 m3 (42,000 cubic feet) or 14.4 stock cars. Even if a million insect species had to be on board, it would not be a problem, because they require little space. If each pair was kept in cages of 10 cm (four inches) per side, or 1000 cm3, all the insect species would occupy a total volume of only 1000 m3, or another 12 cars. This would leave room for five trains of 99 cars each for food, Noah’s family and ‘range’ for the animals. However, insects are not included in the meaning of behemah or remes in Genesis 6:19-20, so Noah probably would not have taken them on board as passengers anyway. Tabulating the total volume is fair enough, since this shows that there would be plenty of room on the Ark for the animals with plenty left over for food, range etc. It would be possible to stack cages, with food on top or nearby (to minimize the amount of food carrying the humans had to do), to fill up more of the Ark space, while still allowing plenty of room for gaps for air circulation. We are discussing an emergency situation, not necessarily luxury accommodation. Although there is plenty of room for exercise, skeptics have overstated animals’ needs for exercise anyway. Even if we don’t allow stacking one cage on top of another to save floor space, there would be no problem. Woodmorappe shows from standard recommended floor space requirements for animals that all of them together would have needed less than half the available floor space of the Ark’s three decks. This arrangement allows for the maximum amount of food and water storage on top of the cages close to the animals. With every storm or other rain event around the world that is followed by a rainbow in the sky, we have a contemporary reminder of the factuality of Noah’s flood. In the Genesis record, God declared the sign of the covenant he has made with all humanity that he would never destroy all human beings with a flood. The sign of that covenant is the rainbow in the sky (see Gen 9:13-15). M’s kind of skepticism in denying Noah’s flood and calling it a ‘story’ without historical foundation, is predicted in Scripture: ‘In the last days scoffers will come’ and they deliberately forget that ‘the world of that time was deluged and destroyed’. ‘By the same word [of God] the present heavens and earth are reserved for fire, being kept for the day of judgment and destruction of the ungodly’ (2 Peter 3:3-7). An earth of millions or billions of years is biblically possible but not absolutely provable…. Given the basics of modern physics, it seems plausible that the universe is billions of years old…. There is nothing in Scripture that contradicts this (Geisler 2003:648, 650). While the mockers of biblical Christianity will continue until their last breath, their ultimate exposure will be reserved for God’s Day of Judgment. (3) Observe how they use logical fallacies to denigrate creationism and the Scriptures. Please become familiar with theses logical fallacies. The Nizkor Project has a helpful range of definitions for such fallacies. (4) Be prepared to expose the holes and inconsistencies in their worldviews as they will try do with yours. Robyn Ironside, Courier-Mail [Brisbane], July 16, 2013. Available at: http://www.couriermail.com.au/news/queensland/construction-work-in-brisbane-suburb-geebung-unearths-fossils-of-50million-yearold-crocodiles-fish-and-plants/story-fnihsrf2-1226680059012 (Accessed 8 February 2014). The Messenger, North Lakes, letter by Spencer Gear (SG) published in the edition of 27 July 2013 regarding the fossil find at Geebung. See: http://www.northlakesmessenger.com.au/mags/2013/July27.pdf. It is on p. 18 under ‘Your Say’ and I’m SG. ‘Response to SG’, The Messenger, Your Say, August 10 2013, p. 22, available at: http://northlakesmessenger.com.au/mags/2013/Aug10.pdf (Accessed 22 August 2013). This is my letter sent to The Messenger, North Lakes, on 23 August 2013 at: community@northlakesmessenger.com.au. It was not published. The footnote here was, ‘Traditionally rendered an ark’. The footnote here was, ‘Or gopher wood’. The footnote here was, ‘Hebrew 300 cubits [138 meters] long, 50 cubits [23 meters] wide, and 30 cubits [13.8 meters] high’. The footnote here was, ‘Hebrew an opening of 1 cubit [46 centimeters]’. Published by Institute for Creation Research, 1996. Copyright © 2014 Spencer D. Gear. This document last updated at Date: 3 September 2016. 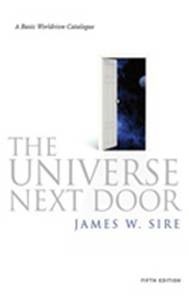 This entry was posted in Creation, Evolution, Worldview on 8 February 2014 by spencer.